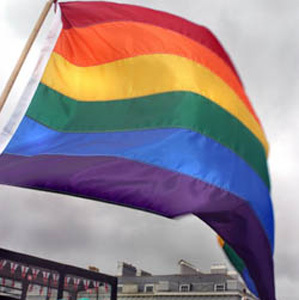 A man has threatened to take legal action over Liverpool city council and Merseyside police for flying the rainbow flag in support of gay rights. Liverpool Town Hall flew the flag on International Day Against Homophobia and Transphobia, which was on May 17th, while Merseyside police stations displayed it for around a week. However, a Freedom of Information request has queried whether they had planning permission to fly the flag. Stephen Gash, who submitted the request, has said that if the council and police did not have permission, he is considering a private prosecution. His request said: “I wish it to be known that I have no problem with flags being flown from public buildings provided the required planning permission has previously been granted and paid for. Gash’s request also asked asked how many times any company or individual had been instructed to take down a flag being flown from a building, and how many prosecutions had arisen. While the council replied that no one had been prosecuted, Gash cited a case reported in the Liverpool Echo which said that a councillor who flew English flags had been asked to remove them. According to the Lesbian and Gay Foundation, Gash stood for election in 2007 in the Sedgefield (County Durham) bi-election representing the English Democrats and is also the press contact for the Stop the Islamification of Europe Group. His Freedom of Information request is currently being processed.